757 total shares. Be the next! 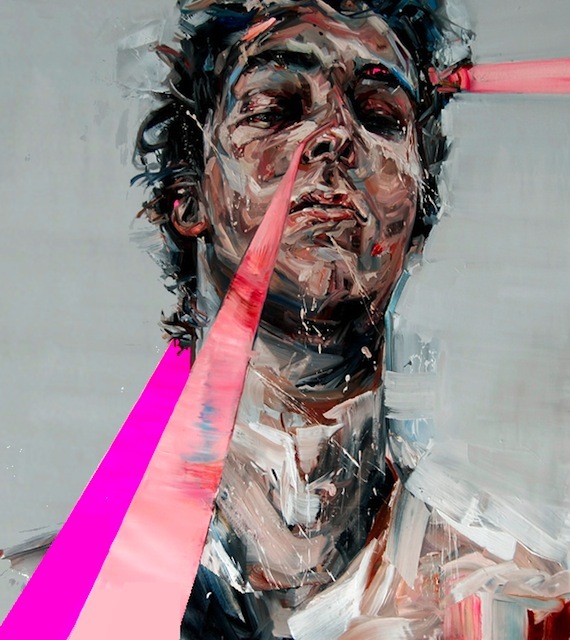 Andrew Salgado received a BFA from the University of British Columbia in Vancouver, Canada, and an MFA from Chelsea College of Art in London, England. 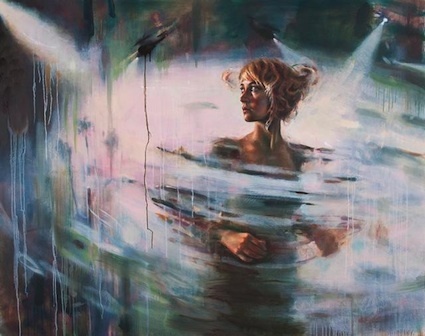 Motivated by the idea of heightened, purposefully self-aware art, he paints self-referential images that may appear to ‘question their own legitimacy’. Less frequently he incorporates video, text, sculpture, and performance. 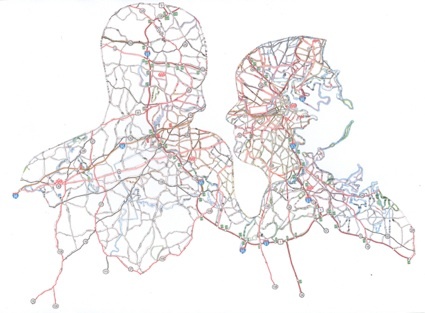 His intention is to explore the correlation between concepts of masculinity and the properties of artistic media. His work has been extensively exhibited in all parts of the world, including most recently at the 2011 Merida Venezuela Biennale for Contemporary Art and The Courtauld Institute of Art’s East Wing Hang featured him last year alongside celebrity artists Gary Hume and Tracy Emin and he is scheduled to appear on UK Chanel 4’s The Science of Art. This is truly remarkable. I wish I could witness the dynamism and gesture needed to convey so much life in a painting. I have never appreciated anything as much.. Thank you everyone for the comments and critique. Interesting, but there's already a lot of that Jenny Saville, Thai Shan Shierenberg type of painting around already. sorry. These are AWESOME! I love the colors, the bold shapes. 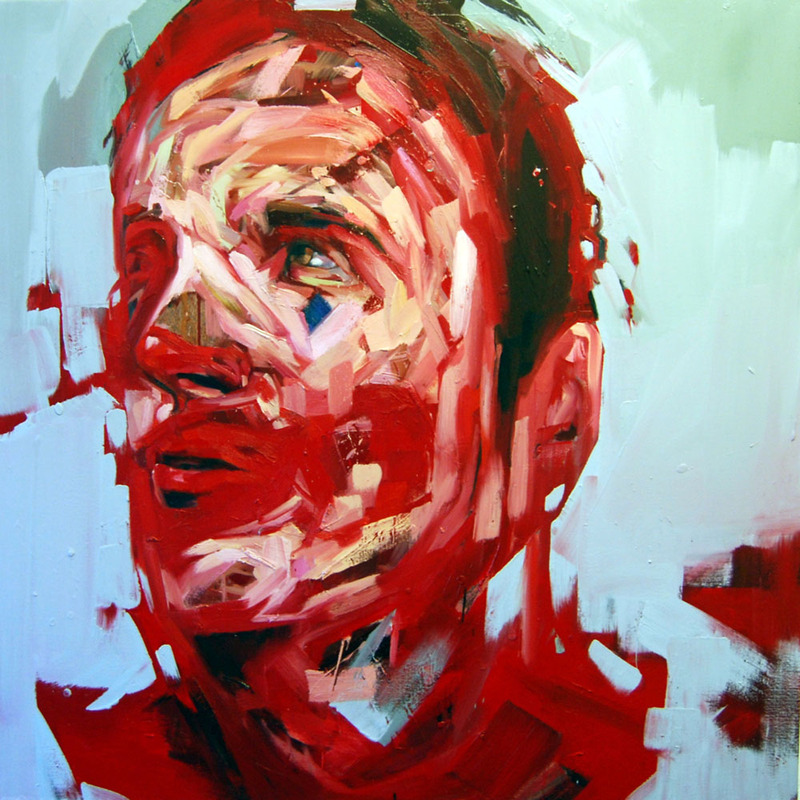 His painting style remind me of works from Nick Lepard and Jenny Saville. This is my second comment. I looked at the first painting again this morning and I love it more than ever! You are a fantastic artist. I wish you all the best! Wow, i saw these and I thought: Yes. Your brush strokes are so... so.. well they speak to me! this guy has seen allot of CSI movies., Maybe some dexter - 6 feet etc and visualizes the rage of people as easy, totally addictive and exotic. I think he is wrong.